To train a fearful teddy bear dog the first step is to get him out from under the bed. 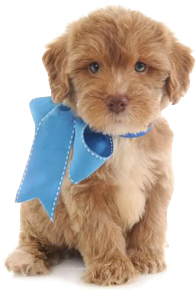 In this article I will be introducing you to training fearful teddy bear puppies and dogs of any breed for that matter. Many dogs including teddy bear dogs or puppies can become fearful and it is important to break this condition as early as possible. It is sad to note that a large number of people do not really understand fearful dogs. In fact, they make things difficult for them as they try to improve their lot. Often, fearful dogs become so because of a lack of leadership. Typically, the owners of such dogs are people who are gentle as well as kind. The aim of these people is to ensure that their dog is living the same kind of a life as other dogs, a life filled with happiness and freedom. Owners of fearful teddy bear dogs or any kind of dog for that matter often do not realize that their dog is duplicating their (the pack leader’s) behavior. It is difficult for these dogs to deal with pressure. In fact, it is not right to expect them to behave differently. Save me pack leader, save me! The situation is best explained with the help of an example. Imagine that you are a 4 year old boy, it is dark, and you and your younger sister are in a wooded area. You hear strange sounds and you see a person walking towards you. You will definitely be scared. On the other hand, how would you feel if your father or mother was with you in the wooded area? You will not feel scared as you are not in charge of the situation. This is what happens when you make your dog the pack leader. They will be terrified. They would only want to get back to the safety of the home. This is to say that fearful dogs will fail miserably if you transfer all the responsibility to them. In a world dominated by humans, they will find it difficult to make decisions as they will be confronted with several different strange things. Therefore, you must assume the role of the pack leader first in order to help the dog. They need to be handled carefully. Pushing does not help. You assume the pack leader’s role first. Sensitize your friends to ignoring your dog when meeting for the first time. Make sure that other people don’t approach the dog until he calms down. Then they can call him over. If the dog is scared he won’t approach your friends. In such a case, the dog is best left alone. Summarizing, you need to become the pack leader first in order to succeed in training fearful dogs. You cannot help your dog if you do not appreciate this basic principle. You can learn how to gain leadership and become the pack leader and transfer confidence to your dog via this video.